Is your roof still in good condition? Even if there are no visible leaks coming from your roof, there’s still a chance that your roof is not in perfect shape. If you see the following warning signs on or in your home, get help from a professional roofing contractor like Dynamic Roofing Concepts ASAP. Harsh weather elements can eventually wear down even the toughest roofs. 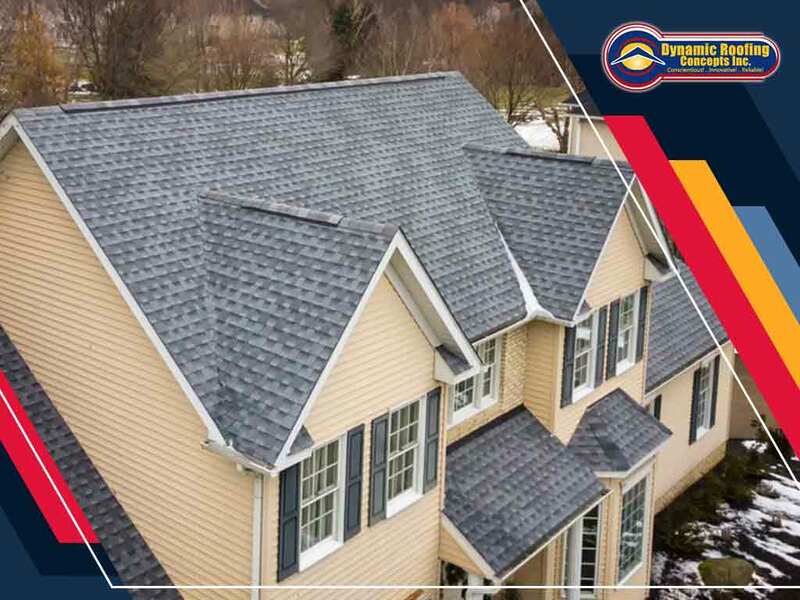 For example, significant changes in temperature and strong wind can cause shingles to warp and the fasteners to get loosened, making them likely to get damaged or completely fall off the roof. Damaged shingles can compromise your roof’s functionality, so they have to be replaced ASAP. You don’t have to wait for actual water to start dripping from your ceiling to check if your roof is in bad shape. Sometimes, water can seep past the ceiling and walls without getting past the paint, causing bulges or bubbles on the surface. If you call a roofer like us as soon as you see this type of issue, you can avoid further damages to your home. Sometimes, moisture stops short of forming a leak, getting absorbed by the insulation or ceiling material. When this happens, the water either causes corrosion or attracts mold and mildew growth, causing circular stains on the ceiling. Fortunately, our team is well equipped to handling this type of roofing problem. Damage on your roof can eventually lead to damage on your insulation. If your HVAC is in good shape and still having trouble with keeping indoor temperatures at a comfortable level, there’s a good chance that your roof and insulation have suffered from moisture damage. To prevent further damage (and losses due to poor energy efficiency), you should request help from our roofing specialists right away. Watch out for these signs and save your roofing system from further damage. You can call us at (813) 257-9355 or fill out this contact form to request an estimate. Dynamic Roofing Concepts Inc is the most trusted roofing company in Tampa, FL, and other areas in Florida.